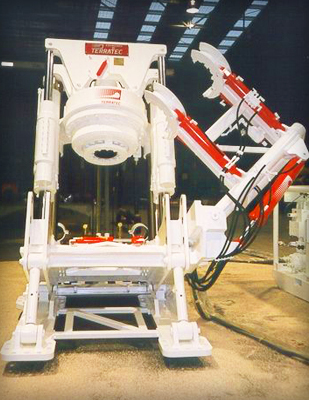 TERRATEC has developed through the years its own series of Raise Boring Machines, which today is recognized as a superior product due to its innovative and high-performance design. The TDR Series (TERRATEC Down & Raise) allows conventional upwards reaming, as well as downwards reaming, up to 2,000mm diameter shafts. TERRATEC's design of the TDR Series is low profile and all the components can pass through the working table, allowing the user to work comfortably in confined spaces. For the excavation of large shafts, TERRATEC's TR (TERRATEC Raise) Series offers an optimized design to ream shafts up to 6,000mm in diameter only upwards. 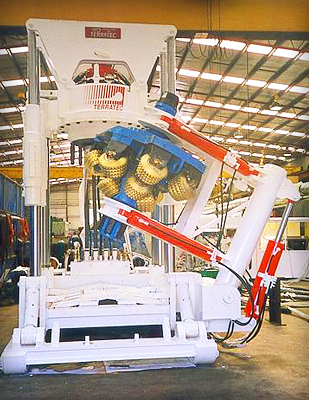 The design of the Universal Borer (UB) Machine allows the Raise/Down/Boxhole drilling of shafts, which makes the UB the most versatile of the RBM's. 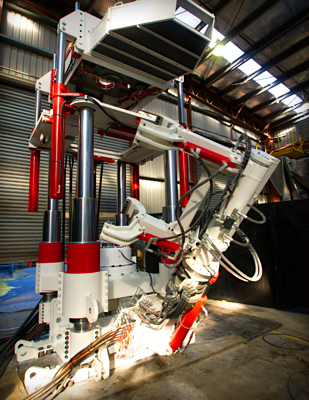 The standard model of the Universal Borer allows raise boring shafts of 1,500mm and Down or Box hole reaming up to 1,000mm.